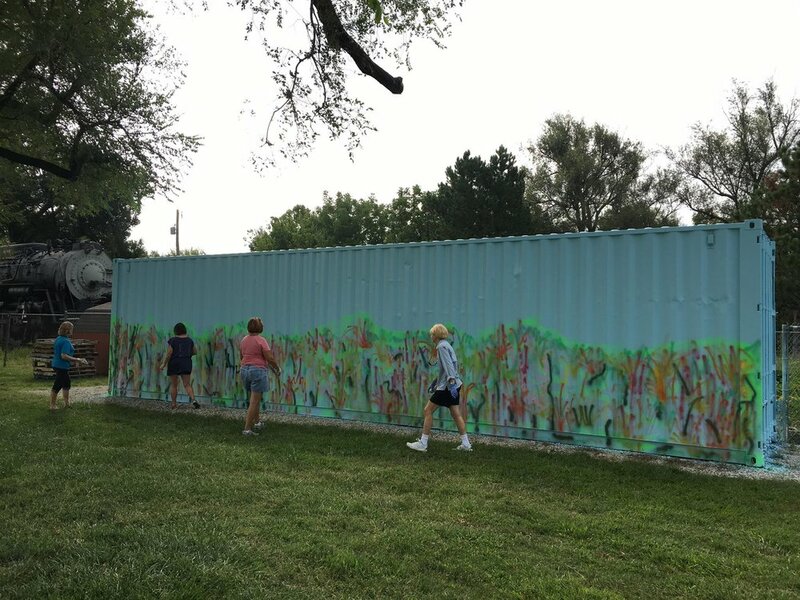 This mural is a collaboration with ARTSConnect and the Shawnee County Extension Master Gardeners to enhance a container adjacent to a community garden just south of the Expocentre. 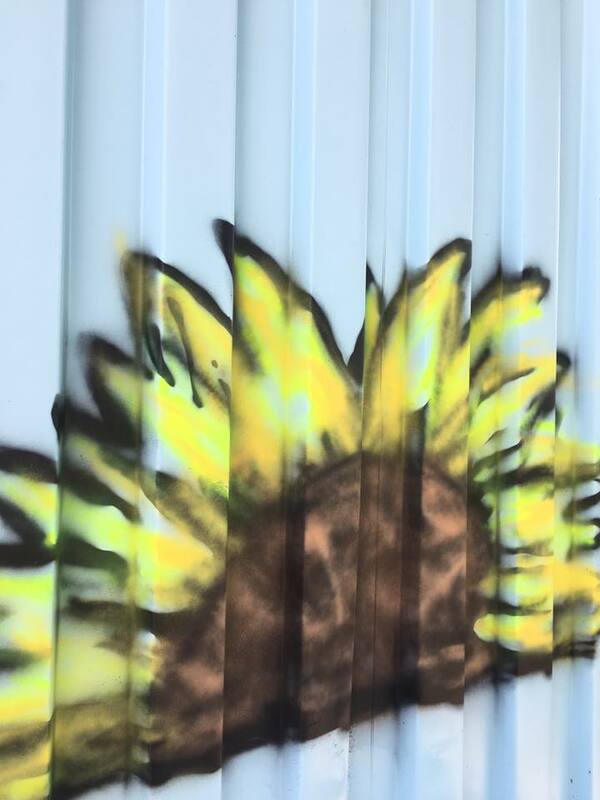 Artist John Sebelius created the design and led more than 20 volunteers in painting the surface of the container. Funding for this mural was made possible through memorial contributions to ARTSConnect in honor of Rosemary Williamson, a proud master gardener and lover of the arts. A special thank you to Senne Company general contractors and Gray & Company for their support of this project - we couldn't have done it without you.